(NaturalNews) You may not know this, but there is an interesting – and disturbing – statistic regarding chemotherapy. When it all comes down to it, you might be surprised to know that 75 percent of doctors surveyed in a 2013 report said they would refuse the treatment for themselves. The Western medical establishment downplays another disturbing fact – many people who are battling the disease don't even have cancer in the first place. 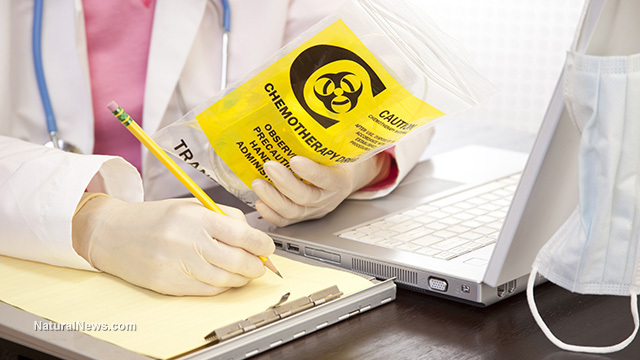 However, doctors and oncologists as well as X-ray technicians misinterpret lab results or X-ray films and often force patients into a false choice: Begin harmful chemotherapy, radiation treatment or surgery, or face death (which often happens anyway). The good news is, there are legitimate, viable, natural alternatives to chemotherapy, radiation and surgery, and they are all documented in a blockbuster series you can watch for free online, The Truth About Cancer Summit. As noted by Natural News editor Mike Adams, the Health Ranger, the cures discussed during this amazing documentary are nothing less than spectacular. Adams is also a food safety lab technician and the author of the upcoming book Food Forensics, which documents his efforts to improve the food supply and educate consumers on how to protect their health. "This docu-series is so powerful that it threatens to collapse the for-profit cancer industry. That industry earns its revenues based on repeat business from cancer treatments that don't prevent cancer or reverse cancer. Instead, today's fraudulent cancer treatments like chemotherapy and radiation actually CAUSE more cancer!" he said in a recent column. "The absolute last thing the cancer industry wants is for knowledge of cancer prevention strategies (and cancer cures) to spread among the public. Such knowledge threatens their very existence and takes away the profits they've been counting on from treating cancer in 1 out of 3 people for the foreseeable future," he added. Don't miss the relaunch of this powerful docu-series, register for The Truth About Cancer Summit for FREE today. The series begins streaming today!